ASVS Recruit Trains with Steve Nash! 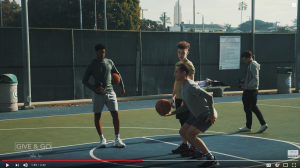 Dexter Akanno, out of Santa Clarita California, was hand picked out of a few hundred kids for a one on one training session with legendary NBA Super-Star Steve Nash last month, and All Star Video Sports helped him do it. 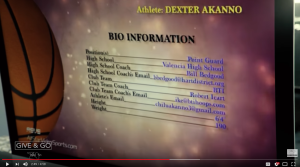 Dexter first reached out to All Star Video Sports in the beginning of 2017, seeking help in producing a recruiting video for college recruiters and coaches. Over the past 10 months and after 5 additional recruiting videos, we have seen Akanno emerge as a serious competitor and overall athlete with the potential to go very far given the right work ethic and dedication (Akanno has both). In January of 2018, Steve Nash decided to post a contest on his instagram account. Nash’s aim was to reach out to athletes of all ages and give them an opportunity to train with him in person. At the same time as his instagram post to the masses, Nash was also starting a video series highlighting some of the kids he would end up instructing. The series, called “Give & Go”, began with a five minute video of Nash going through potential candidates to train with, but showed him stopping on a familiar friend of ours, Akanno. Akanno’s recruiting video produced by All Star was what he clicked on after he read Akanno’s instagram response. The second and third episodes of Nash’s series then goes on to highlight Dexter Akanno and his exclusive training session with Nash. Nash gives Akanno and his teammate suggestions on how to improve, and gives them words of wisdom for their aspirations in basketball. All Star is proud to have played a very small part in Akanno’s opportunity to train with Nash. We are sure the influence of such a huge gamer from the NBA will have a lasting effect on Dexter. We can’t wait to see what happens next for our recruit!